Have you driven a 2018 Lexus RX Hybrid? Displaying all 2 2018 Lexus RX Hybrid reviews. MSRP: $46,095 Invoice:$43,330 Search Lexus dealers to find exactly the car you want. Power Ranked 2018 Lexus RX 350 worse. "The electric motors reduce downshifting characteristics on hill climbs and at low speeds the hybrid electric is smooth with plenty of power and quiet! " Handling Ranked 2018 Lexus RX 350 worse. "I drive in snow and both were tested in snow but I feel the added weight of the hybrid feels more stable? " Looks/Style Ranked 2018 Lexus RX 350 worse. 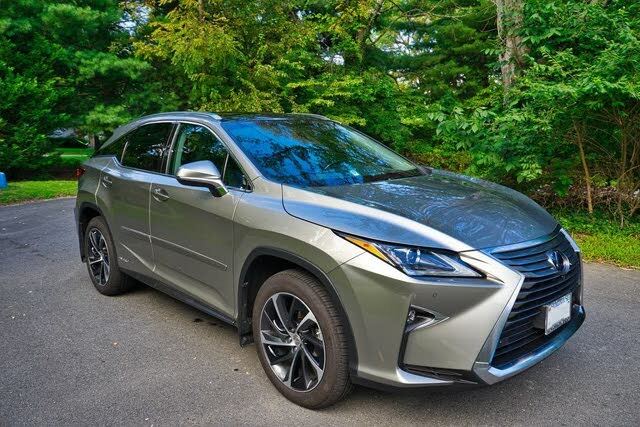 "The added length provides cleaner design lines in the profile appearance "
Front Seats Ranked 2018 Lexus RX 350 worse. "Seat face adjustability for under thigh support. " Back Seats Ranked 2018 Lexus RX 350 worse. "Captains chairs are very comfortable. 3 rd row seating while present is useful for small children only. " Cargo Capacity Ranked 2018 Lexus RX 350 worse. "Extra 3rd row seat when down gives more cargo space due to the addition of the 4.3” in length "
Family Car Ranked 2018 Lexus RX 350 worse. "Larger cargo area with rear seat captain chairs which are extremely comfortable and heated. " 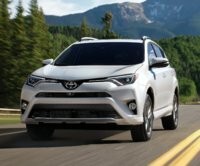 Value Ranked 2018 Lexus RX 350 worse. Would Buy Ranked 2018 Lexus RX 350 worse. "Both are excellent in terms of fit and finish buy the hybrid provided better fuel economy and reduced carbon imprint than the straight gas version. I look forward to their electric version someday. "